I don’t know if this is a confession or not, but i’ve been dreaming about this release for several months now. Usually longings like this are very non-descriptive, however after being teased by a glimpse of the video that comes with the first single, I believe all dreams I had about Timber Timbre since became pretty hot. Referring to sultry dreams and Timber Timbre in the same breath somehow feels very wrong. Thinking of Timber Timbre is thinking of spookiness. Their music, as we know it today, is almost synonymous for being the ideal soundtrack to haunting nightmares. With the self-titled Timber Timbre (2009) and Creep On Creepin’ On (2011) Taylor Kirk and his fellow band members almost single-handedly created their own subgenre of folk-blues, that is, an eerie and desolate form of folk-blues. A turn to nightclub erotica therefore does not seem that obvious for this Canadian formation. But alright, if every nightly hour turns into a witching hour, things would get rather morbid in the long run. So that’s why Kirk probably stated that Timber Timbre’s fifth will be at least ‘more friendly’ than its predecessors. Assisted by a small choir that’s responsible for a simple yet compelling chorus and some lovely lingering saxophones, Kirk kicks in his ghostly voice on the album’s title track: “I wanna follow through on all my promises and threats to you babe […] “I wanna wake, from hot dreams of you babe”. Hmm, that seems a bit double-dealt, does it? On the one hand this title track is very dreamy and hints to mood setting slow dance standards of the 1950s (e.g. The Flamingos – I Only Have Eyes For You). Yet on another hand its also about romance with a bizarre twist. ’The New Tomorrow’ and especially the piano filled ‘Run From Me’ contain much of this lurid bizarreness. The latter even becomes sarcastically violent. Kirk opens with, “Run from me darling. Run my good wife. Run from me darling. You better run for your life” and ends the song by repeatedly singing “Run” while accompanied by a women’s choir and a musical arrangement that would easily fit in any Spaghetti Western. Well, I think its safe to conclude from this point on that Hot Dreams album title is a somehow misleading, for steamy love scenes are not an essential part of the narrative. If there’s any love on the album, its foul love. Next to this Kirk also elaborates on very different themes such as the Utah mountains in ‘Grand Canyon’ and gambling in ‘Curtains!?’. The only real mainstay of the album is to be found in its Ennio Morricone-ish style which is present from the beginning. Opener ‘Beat The Drum Slowly’ is hauntingly enchanting and slowly introduces the Western atmosphere with some gloomy tolling funeral bells. After this, the over-the-top somber guitar play, frightening violin sections and a sparse bell here and there become more dominant as the album proceeds. Instrumentals ‘Resurrection Drive Part II’ and ‘The Three Sisters’ serve as prime examples for this. First, let me end this review be saying that this new Timber Timbre is indeed more friendly then it predecessors. Only for whom? 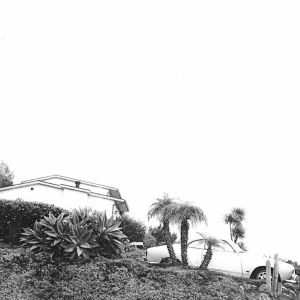 The larger audience will not pick up Timber Timbre solely for its obsessional hot title track. Spicing up your love life with this release is most likely a very bad idea for musically the contents are better used as background music to an Old Western funeral march. Therefore only connoisseurs of cinematic (Western) music remain to get acquainted with Timber Timbre. And there are probably a lot of you out there who never heard of this great band, so here is your chance. Now, there also the question how one likes their Timber Timbre best? If I speak for myself, I want the band to hunt my living in a brooding and prowling manner. And ok, for a showy flirt with North-American lonerism, Hot Dreams still is a pretty scary listing experience. Timber Timbre – Beat the Drum Slowly – video by Chad vanGaalen! This entry was posted in WRM and tagged album, Beat the Drum Slowly, blues, Canada, Canadian, cd, Chad VanGaalen, Creep On Creepin' On, Ennio Morricone, folk, folk-blues, Full Time Hobby, Grand Canyon, Hot Dreams, I Only Have Eyes For You, Music, North-America, review, Spaghetti Western, Taylor Kirk, The Flamingos, Timber Timbre, Utah, video, Western. Bookmark the permalink.